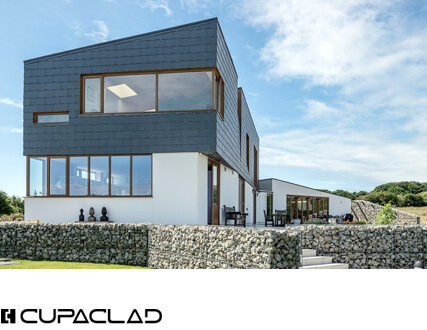 THERMOSLATE® is the only solar thermal collector in natural slate that can produce heating and hot water without giving up to a natural elegance and contemporary design. Once the installation is complete, this system is undetectable. 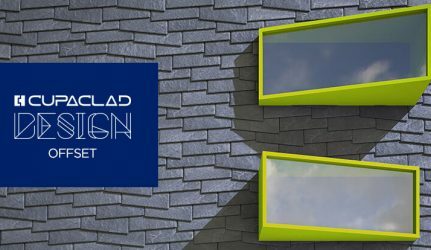 That’s why we say it’s an invisible solar roof in natural slate! 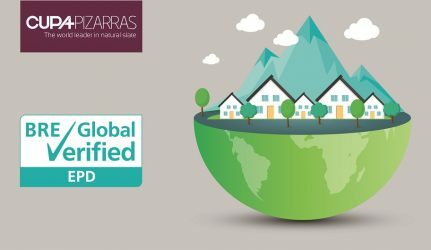 THERMOSLATE® takes advantage of the roofing slate properties to transform solar radiation into energy! Don’t miss the steps to get it installed! 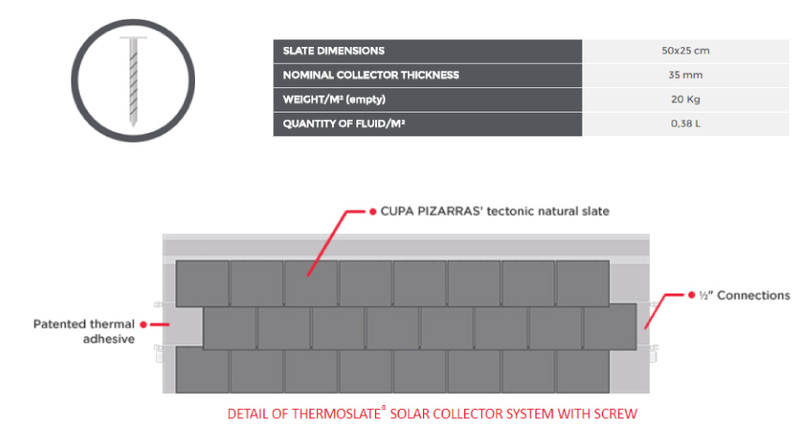 The installation of the THERMOSLATE® solar system is very simple. 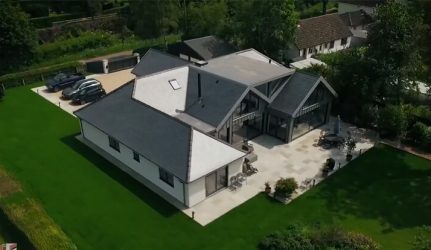 Thanks to its modular design, THERMOSLATE® integrates so fast and easily into the natural slate roof that you can have it installed in just 3 hours! 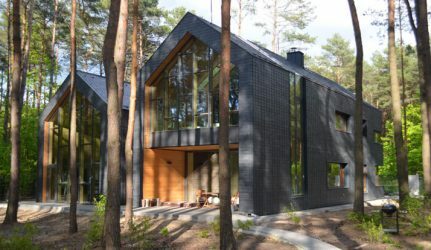 THERMOSLATE® is a technically adapted and aesthetically incomparable solution. 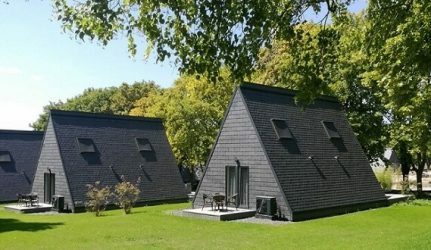 Finally, we can enjoy solar energy without those unsightly solar panels! 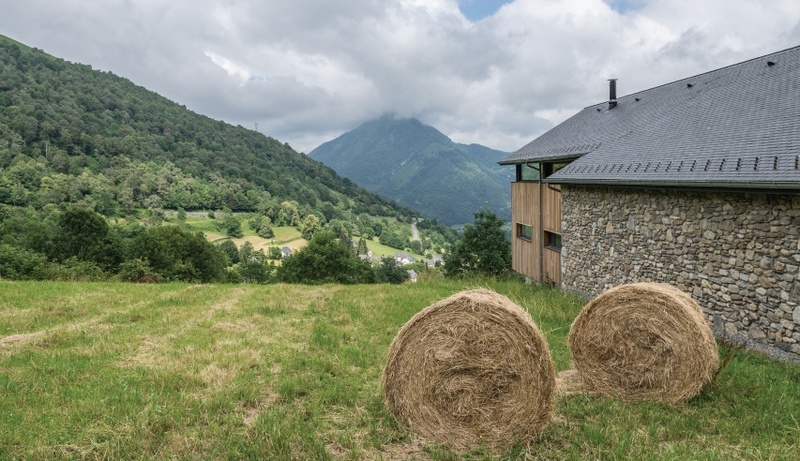 THERMOSLATE® is thus perfect both for the rehabilitation of heritage buildings in protected areas and for private contemporary projects. 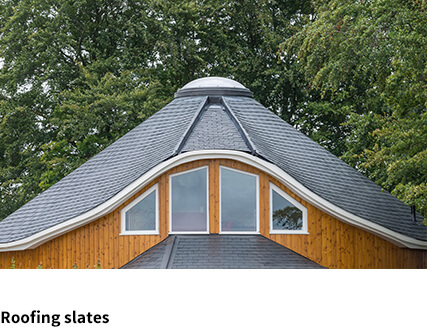 THERMOSLATE® system with nail suits 50×25 cm format natural slate roofs perfectly. 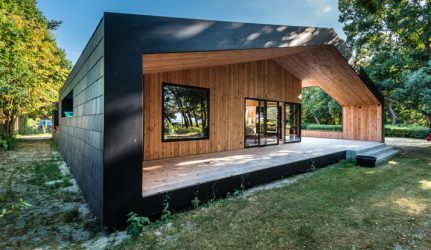 The nails are made from stainless steel and ensure perfect integration: they are totally concealed so avoiding any visual impact on the roof design. 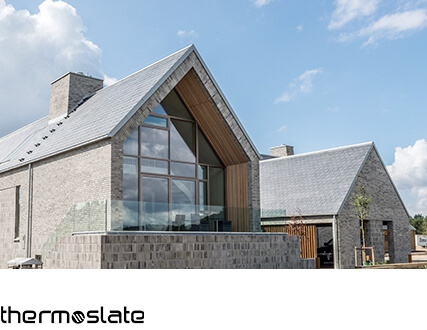 For further information about THERMOSLATE®, download our brochure.